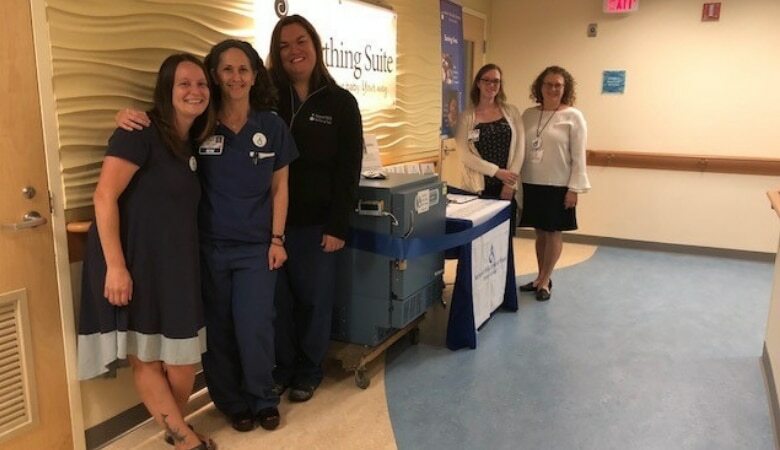 In the final weeks of summer, Monadnock Community Hospital staff worked excitedly with the milk bank to plan for a festive ribbon-cutting celebration at our newest New Hampshire milk depot. 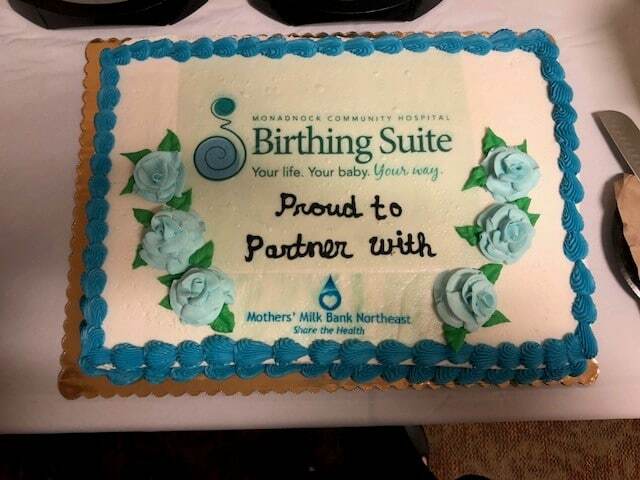 When the day came for the event, the hospital had even more happy news to announce: not only were they opening a depot, they were starting a donor milk program! In other words, Monadnock Community Hospital was now a place where families could both donate and receive milk. With this announcement, the hospital joined the select group of hospitals that host depots for Mothers’ Milk Bank Northeast and also offer our donor milk. In addition to Monadnock Community Hospital, the others with this distinction are Cheshire Medical Center and Portsmouth Regional Hospital in New Hampshire; Emerson Hospital and South Shore Hospital in Massachusetts; and Maine Medical Center. Families often find it especially meaningful to donate milk at a depot located in a hospital that also offers donor milk to patients. In these cases, they may personally know local families whose babies have benefited from donor milk. Community support and enthusiasm were evident at the September 6 opening event, where hospital nurse Ashley Hill made the first milk donation. “Being a lactation counselor, nurse, and mother, I know how important breastmilk is for babies. That is why I decided to become a donor,” said Ashley, who manages the depot together with Melody Moschan, Director of the Birthing Suite at the hospital. The state of New Hampshire enthusiastically embraces milk banking, with 11 of the state’s maternity hospitals currently offering donor milk in neonatal intensive care units as well as special care nurseries and postpartum units. In addition, this is the fifth milk depot in the state; the others are located at Nini Bambini in Bedford, Memorial Hospital in North Conway, Cheshire Medical Center in Keene, and Portsmouth Regional Hospital. The Keene Sentinel covered the depot opening, as it did for the opening at Cheshire Medical Center, also in the Monadnock region, last year. Reporter Liora Engel-Smith’s insightful article explains the significance of this depot in the larger landscape of breastfeeding support. The unassuming depot freezer, she explains, “is a link in a chain that supplies breast milk for babies in need—at the Peterborough hospital and across the country.” Read the entire story here. Screened donors can schedule a time to drop off milk at the new depot by calling 603-924-7191 x4170. Screening to become a breast milk donor is done through an easy four-step process. Once accepted for donation, milk can be shipped door-to-door or through one of our donor milk depots throughout the Northeast.